Welcome to Senter, Realtors. Where you can find Real Estate for Sale in Abilene, TX. Senter, Realtors has limited openings! Large private office spaces, high production agents, and unmatched office support! Click Here for more information! In an ever changing real estate market, Senter, REALTORS has been a constant for over six decades! Since 1957, Senter has built a "Tradition of Trust" and participated in the sale of over 20,000 homes. That totals over a half a billion dollars in closed residential property for sale and commercial property for sale in Abilene, TX and The Big Country! Senter, Realtors is locally owned and operated. Our team of REALTORS has centuries of combined real estate experience, take pride in our professionalism, and are dedicated to upholding the highest ethical standards! Our agents have access to the latest technology, marketing techniques, industry laws, and market trends. 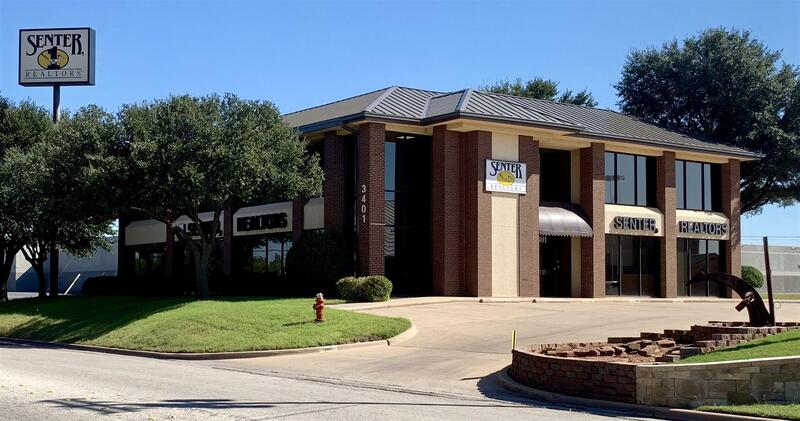 Senter agents can show you any and all real estate listings for sale in the MLS, such as residential or commercial property for sale in Abilene, TX and the surrounding area. Let our full time and professional REALTORS give you the edge you need in today's market. For over 60 years, we have developed an extensive network of cooperating independent brokers and national relocation companies. With contacts spanning the globe we can connect you to a professional real estate firm anywhere you go! The Senter team takes an active role in and around Abilene and The Big Country through work with the Abilene Chamber of Commerce and the City of Abilene. We are proud of our community and look forward to helping those from other locations buy or sell a home in Abilene, Texas and surrounding areas. Contact us today for information regarding real estate for sale in Abilene, TX. The Senter team is experienced, knowledgeable and committed to serving our clients’ best interest. When pursuing one of the largest transaction you'll make you need full time and professional representation to guide you through the many hurdles and negotiations of real estate! Don’t hesitate to contact us about your real estate goals and have one of our REALTORS give you a free consultation. Whether that's buying your dream home here in Abilene or looking for that perfect location to start your business we are your local experts with a "Tradition of Trust" for residential and commercial property. In an ever changing real estate market Senter, REALTORS has been the one constant you can always count on!